Ok, now on to today’s recipe! 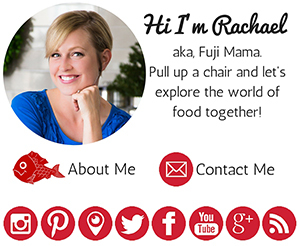 I thought it would be appropriate to kick off 2017 with a recipe from a cookbook that celebrates the food of Tokyo, the city that I called home for several years, where my first daughter was born, and where I started this blog almost ten years ago. 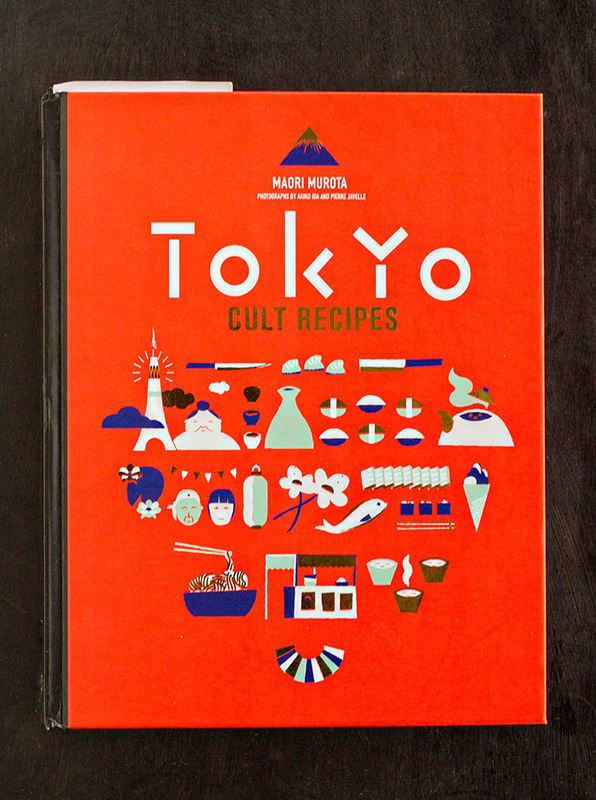 The book, Tokyo Cult Recipes by Maori Murota, is an introduction to the dishes that the author grew up with in Tokyo, both the food cooked at home and the food served in restaurants. The book is beautiful, but also very usable. It contains over one hundred recipes which are divided into six sections: Asa Teishoku (Breakfast), Ohiru (Lunch), Bento, Oyatsu (Snacks), Izakaya (Tapas Bar), and Uchishoku (Home Cooking). 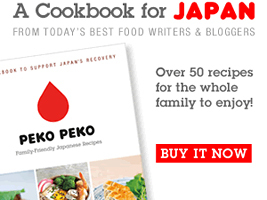 The book provides explanations of basic Japanese cooking techniques and ingredients, as well snapshots of Tokyo life and some of Murota’s memories and experiences from growing up in Tokyo. It contains recipes for some of my favorite dishes, such as miso soup, yakisoba, daifuku mochi, chiffon cake, oden, and agebitashi. If you want to learn to cook some Japanese classics, learn more about Tokyo, and have a beautiful book, then definitely order a copy of the book. 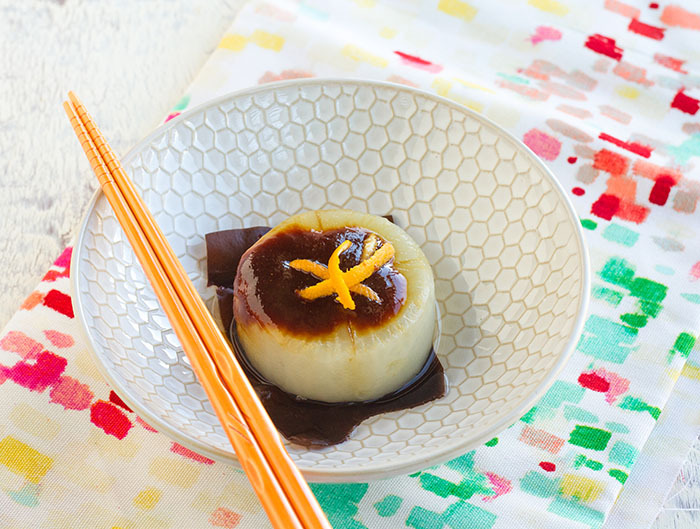 One of my favorite recipes from the book is for Furofuki Daikon, or Simmered Daikon Radish. One of the reasons that I love this recipe is that it demonstrates the fact that most Japanese cooking is relatively simple, yet still flavorful. In this dish thick rounds of daikon radish are simmered in water with a piece of kombu seaweed until tender then served with a miso sauce and garnished with yuzu zest. Yuzu is basically impossible to find around here, which makes me sad, since it is one of my favorite ingredients on the planet, so I made do with the zest of a Meyer lemon, which is also fragrant, albeit not quite the same. 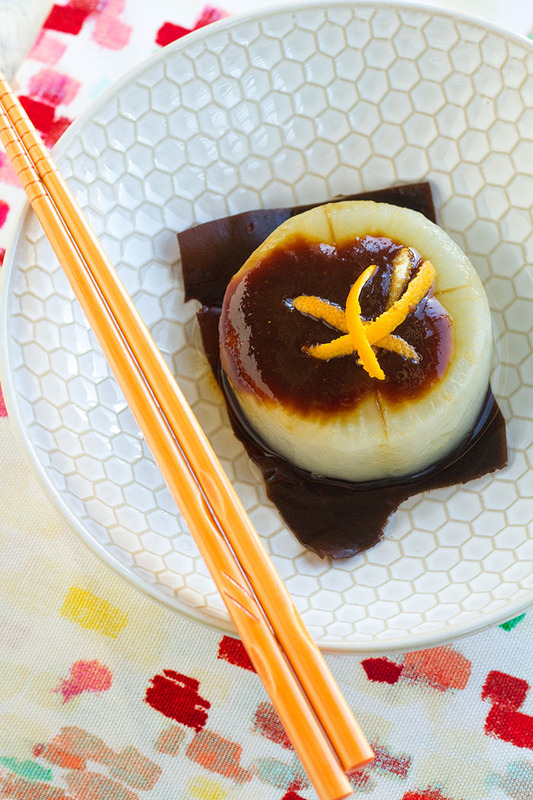 The subtle bite of the radish paired with the rich, slightly sweet, savory miso sauce is perfect for a cold winter’s day, or really even a hot summer one. 1. 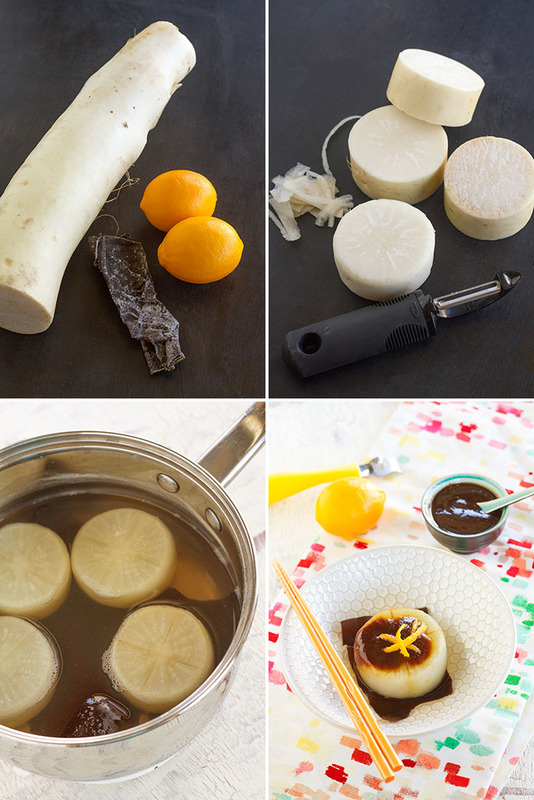 Slice the daikon radish into 1 1/4 inch (3 cm) thick rounds. Peel the slices and trim the sharp edges of the rounds so they don’t break up during cooking. Score a cross in each side of the rounds to help them cook more evenly. 2. Place the kombu in the base of a wide saucepan and then lay the radish rounds on top in a single layer. Cover with water and bring to a boil, then reduce the heat to medium and simmer for 40 minutes. 3. Place the miso paste, mirin, raw sugar, sake, soy sauce, and yuzu juice in a small saucepan on medium heat and cook, stirring constantly. Once the sauce is very hot (bare simmer), reduce the heat and cook on very low heat for 5 minutes, still stirring. 4. 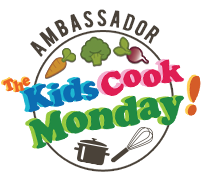 Place the kombu and radish rounds in a bowl, then pour a little of the cooking liquid over. Spoon some miso sauce onto each piece of radish, then garnish with yuzu zest. *Recipe Notes: The author notes that bergamot zest will work well in place of the yuzu zest. Bergamot is difficult to source around here, so I used Meyer lemon instead, which is also very fragrant. I LOVE this book!! I got it for Christmas 2 years ago!! I have made so many things out of this book!! I have made this recipe too and it is so simple and flavourful!! You must be thinking of a different book? This one came out in April of 2016! But now I’m dying to know which book you’re thinking of! Yes, this dish is awesome and a classic! What a great little recipe! Simple and ingenious. Congratulations on the new baby and new house, you really do it all at once, don’t you?? The Japanese are masters of simple and ingenious!! Thank you so much! And yes…we seem to be doing it all at once and it may take a long time for me to fully recover, LOL! Thanks for another great idea… Keep it up!!! Thank you! Yes, everything happened so fast! It was crazy! Previous post: Hello New Little Fujiling!